Mr.Peniel Vello Laizer is the founder of Lights on Africa Destinations and Safaris, one of the best travel companies in Tanzania. He was born and raised in the northern part of Tanzania, an area which is known as the crown jewel of tourism in Tanzania because of being home to the country’s most desired tourist attractions- Mount Kilimanjaro, Serengeti national park, Ngorongoro crater, and others are located in northern Tanzania. Mr.Peniel studied Hotel Management in Arusha, Travel and tourism marketing and customer services at the institute of commercial Management in the UK. Afterwards, he spent years working for several hotels, lodges and travel companies in Tanzania before founding Lights on Africa. His childhood experiences coupled with the knowledge he acquired from school position him as one of the best tour Planner in Tanzania. Mr.Peniel talks wildlife because of the several experiences that he has witnessed since childhood. There are several experiences which are difficult to view but only possible with an expert guide and planner. 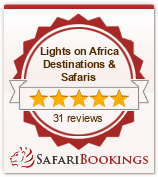 Such experiences are some of the many experiences which you shall witness when you book a wildlife safari with Lights on Africa. Mr.Peniel has extensive knowledge about Mount Kilimanjaro. His company, Lights on Africa, is among the few travel companies that you can trust to have 99% success rate of reaching the summit of Mount Kilimanjaro. Due to an extensive network of friends in the travel industry, he is capable of organizing tours to Uganda Kenya, Rwanda and South Africa. Mr.Peniel knows what it means to be underprivileged in society after having grown up in such a status. His childhood experienced compelled him to champion several social corporate responsibilities to help other underprivileged children. Part of his social corporate responsibilities is to ensure that children go and stay in school. Through his company, several scholastic materials have been donated to different schools in Tanzania.